Energy experts from around the world are to come to Glasgow to study as part of an international MBA programme launched last week by Scotland’s First Minister Salmond. The bespoke MBA (Master in Business Administration) will also give ScottishPower workers based in Scotland the opportunity to gain an international qualification. 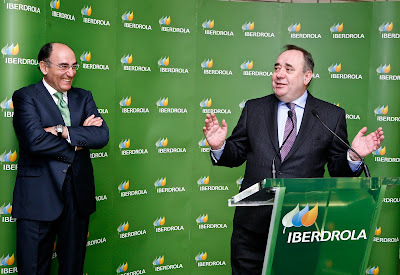 Alex Salmond announced details of the course during a meeting with ScottishPower and Iberdrola chairman Ignacio Galan at the group’s training centre in the Spanish capital. 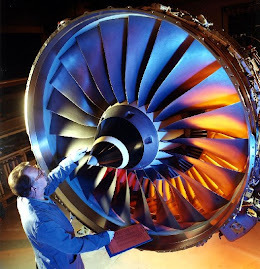 The MBA will be run jointly by ScottishPower, its parent company Iberdrola, the University of Strathclyde and Madrid’s Comillas Pontifical University ICAI. The degree course will see Iberdrola employees from more than 40 countries come to Scotland and Spain to study technical and commercial aspects of worldwide energy markets. Mr Salmond said: “The energy industry – particularly renewables – offers the opportunity to reindustrialise Scotland and leading an international education partnership like this gives us an enormous competitive advantage. “Not only will students from countries such as the United States, Brazil and Mexico come to Scotland, ScottishPower staff will be able to learn alongside colleagues from around the world and equip themselves with the skills to work in any number of countries. “Strathclyde University and Iberdrola already have a close and productive relationship, and this new MBA course puts both Scottish education and energy at the heart of a growing global industry. 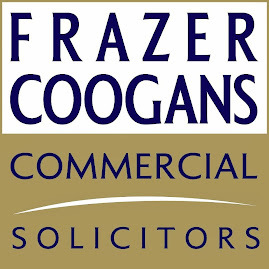 “The value of Scotland’s energy specialists to the industry worldwide is clear. Only a few weeks ago Scottish Power announced 300 new jobs – as well as £6.5 million investment in grassroots training – and Iberdrola’s worldwide offshore wind business is based in Glasgow. “It is therefore vital that our energy sector retains its position at the cutting edge of what is a very competitive global market and being at the heart of international developments like this is exactly where we should be. 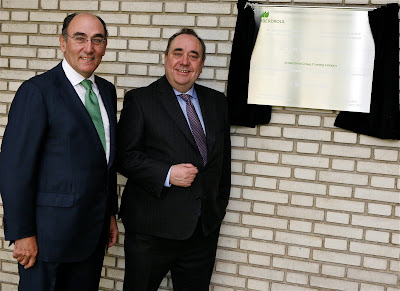 Ignacio Galan, Chairman of Iberdrola and ScottishPower, said: “It is important that we offer our employees access to development opportunities that will help them succeed in any of the countries that we operate in. Energy is a global business, and as engineers we must be ready to meet the global challenges that our industry faces. Professor Susan Hart, Dean of Strathclyde Business School, said: “The University of Strathclyde has a clear focus on building partnerships with business and industry, to create educational experiences for executives that are challenging, rigorous and useful. At the Business School, our partnership executive education programmes are tailored to the needs of specific sectors and the contemporary challenges that businesses face, which distinguishes the way we develop and deliver value. “This bespoke MBA will further strengthen the University’s long-standing relationship with Iberdrola. This is a truly international partnership that will involve staff from Spain, Mexico, Brazil and USA, providing them with a global perspective of successful strategies for the energy industry. While in Spain, the First Minister also met with Gamesa chairman Jorge Calvet to discuss the renewables giant’s recent decision to create 800 jobs in Leith at a new offshore wind turbine plant. Mr Salmond said: “This short visit to Spain offers a valuable opportunity to meet with some of Scotland’s most important economic and commercial partners. 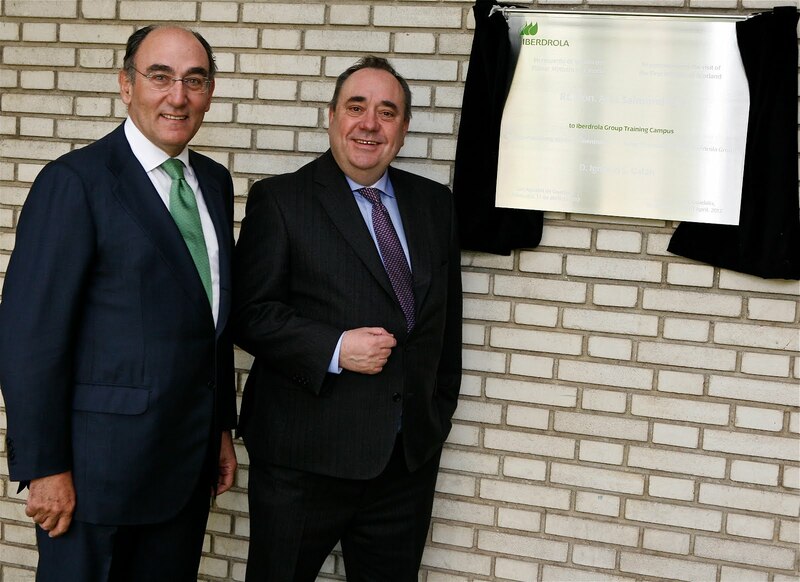 “Gamesa and Iberdrola have both recently committed to the creation of hundreds of new, highly-skilled jobs here in Scotland and today’s MBA launch only highlights how central Scotland is to the energy industry. “This kind of inward investment is critical to creating more jobs for Scotland and building on these relationships can help achieve that. The Iberdrola Group operates in more than 40 countries and the bespoke MBA is being designed to give employees the opportunity to develop their knowledge and understanding of the challenges and opportunities in global energy markets. 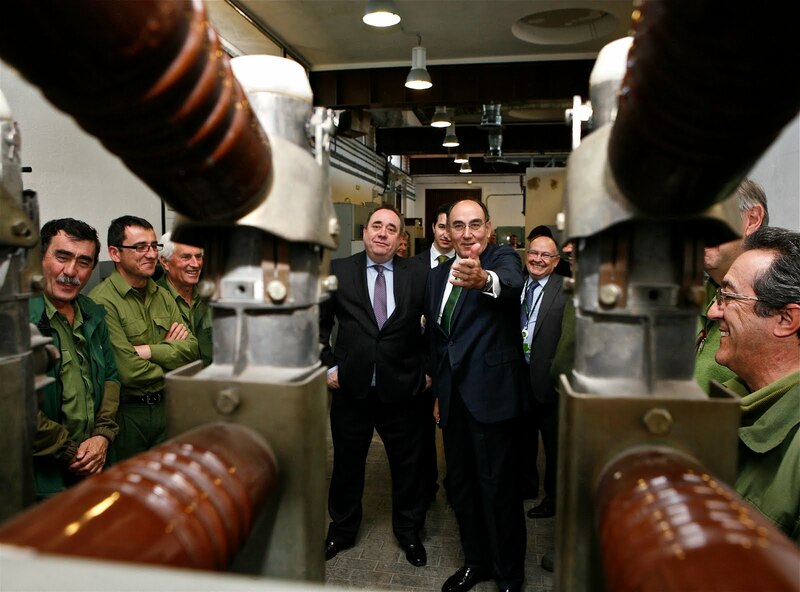 Existing partnerships between ScottishPower and the University of Strathclyde include the Technology Innovation Centre, Fundación IBERDROLA Scholarships Programme, ScottishPower Chair in Smart Grid Technology, the Power Network Demonstration Centre (University of Strathclyde) and the ScottishPower Advanced Research Centre.